Barbara creates, using cuts and colors that compliment the individual features, hair type and lifestyle of her clients. She also values the relationships that build over time. It's important to her to collaborate with each client to discover individual needs and develop a style they are comfortable with and can take care of easily. She enjoys the challenge of working with all kinds of hair including curly, wavy, straight, thick, fine, dry, oily and thinning hair. She keeps up with new styles and designs and will often make suggestions to improve a style or add a new touch to a favorite cut. Her own fine textured hair was a challenge and catalyst for her career since it motivated her to find ways around the difficulty getting a good cut. 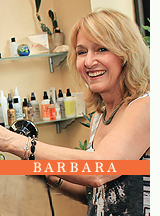 Eventually, Barbara met Elaine Ohanassian, a hairstylist who trained at the Michelle Kazan Salon in Boston. 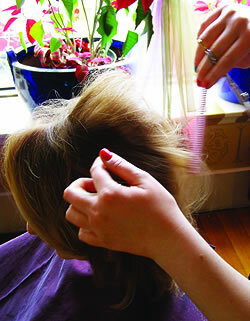 Elaine became Barbara's mentor, encouraging her to become a professional hair designer. She left UMass and a program in Music education to develop her passion for hair design and opened Visage Salon in Northampton. She later completed her degree at UMass but loved hairstyling and continued to develop her salon, adding solutions for hair-loss and studying the technicalities of trouble-free wig and hairpiece selection and application. For almost as long as she can remember, Roxanne has been cutting and styling hair. 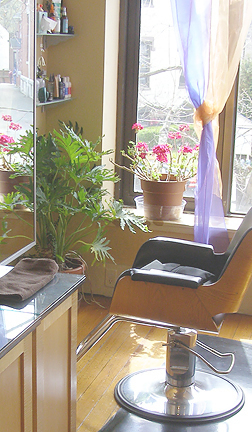 Over time and with training, her skills developed and she became a professional stylist. This was during an era when hair styles were classic in design and the cutting precise. 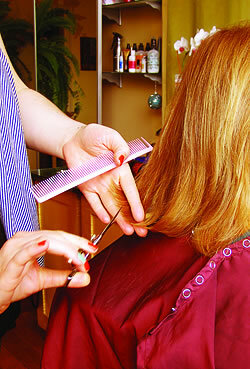 Because of that she developed great expertise in cutting and styling. Over time those classic styles gave way to an approach to styling that was free, expressive and more creative. 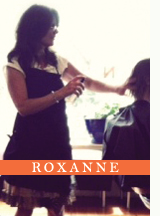 Roxanne continued her education, studying such changes, along with the latest techniques in cutting, coloring and hair design, on her own and through workshops and seminars and continues to do so today. Current trends are moving once again toward a more classic look and she finds that her skills in precision cutting are once again in demand. Roxanne has explored other career paths along the way but keeps returning to the cutting, coloring and styling that she knows and loves best. She has been with Visage Salon off and on, since the day its doors opened. 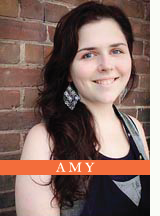 Amy joined the Visage salon staff in 2008. Prior to that she worked for several years as a stylist, having first studied at the Digrigoli School of Cosmetology in Springfield, Mass. 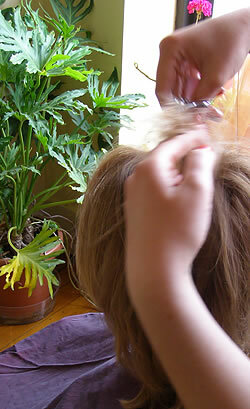 It was there she was able to transform her lifelong love of hairstyling into tangible expertise and skills. During her time here at Visage Salon she continues to keep up to date on fashion trends and techniques by following the industry as it evolves and by regularly attending training seminars and conferences. She loves her work and her clients who appreciate her informed, yet down to earth approach to cutting, coloring and styling. 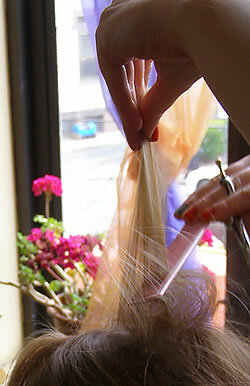 Em loves to cut and color all hair types in a wide range of styles. She is also a fashionista, keeping up with new trends in hair make up and clothes. 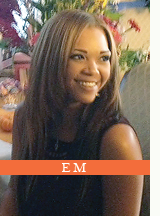 An artist by nature, Em has been teaching ballroom dancing for 7 years and loves to sing and to paint and is committed to fitness and health. For the time being, Courtney will not be on staff. She will be out of the country until the holidays (Dec, 2015) and after that is yet to be determined.